We're back in the US and so wanted to reach out to you and tell you about the wedding! We had such an amazing time. 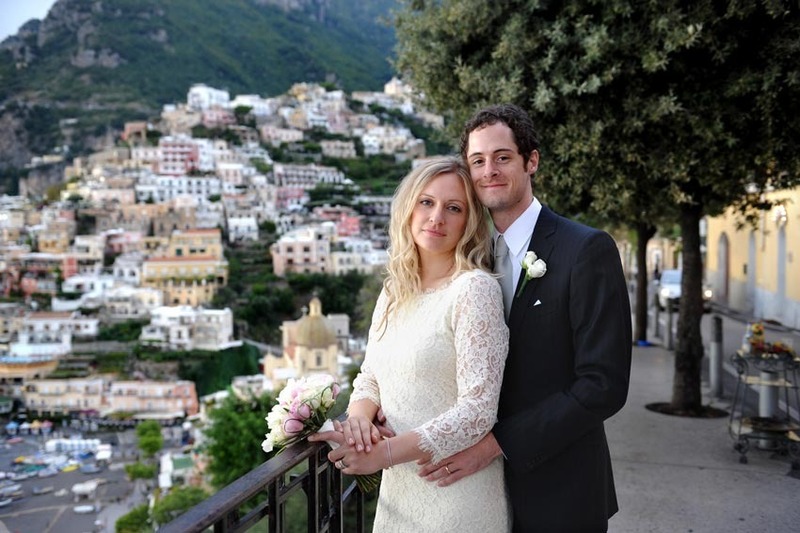 Working with you was the singular best decision we made when deciding to get married in Italy. You were so helpful and communicated all the steps very clearly and made everything such a breeze. All the tasks seemed very daunting at first, but you always approached each decision with good cheer and grace, so you made the whole experience fun. All your recommendations were spot on- from the car service to the hair salon, so we always felt like we were in very good hands. That actually reminds me-- one recommendation I have for the hair salon is to suggest that women bring a couple photos of how they would like their hair to look. I brought a couple photos and my hair looked exactly how I wanted! My bridesmaid went along and asked for a french twist- which they gave her- but she had a different idea in mind and ended up washing it all out. So I just wanted to let you know! I really liked how professional and communicative you were during the whole process. I had started working with another company when we first decided to get married in Italy and they would ignore my emails for days on end! It was a real comfort knowing that every time I emailed you, I would have a response waiting in my inbox every morning! It was nice to hear from everyone in Italy how much they liked your company too- it was so reassuring to know that we chose the right wedding planner! I just can't thank you enough for all your time and help! !